There has been a lot of controversy about the new AIRTEL UNLIMITED DATA PLAN. The plan was silently launched and even without any single word or comment from Airtel. We were all concerned why the three unlimited data plans have different price, but all valid for a month. People asked why the expiring date for the N10,000 plan is same for the N15,000 and N20,000 plans (30 days). Upon activating any of the unlimited plans, customers enjoy superfast data experience until a threshold is reached. After this, the data speed is throttled to a lower speed in line with the Fair Usage Policy. According to this policy, the threshold for Unlimited 10 is 40GB; unlimited 15 come with 65GB while unlimited 20 is 100GB, after which the speed comes to 256kpbs.However, customers can continue to enjoy unlimited browsing until plan expires. 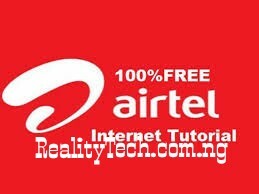 To get the MIFI / Router / Dongle, customers can visit the nearest Airtel showroom or a designated Airtel agent. To renew data plans, customers can simply log intowww.onetouch.ng and purchase the unlimited plan of their choice. Customers can also subscribe for or renew their unlimited plan via USSD code *462*10# for unlimited 10, *462*15# for unlimited 15 and *462*20# for unlimited 20. 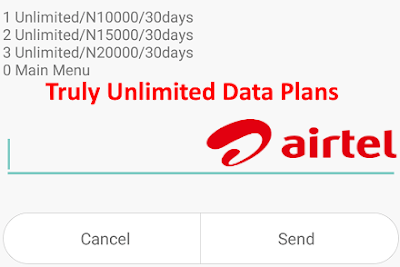 Understand that the Airtel unlimited data packages are truly unlimited, but once you have reached the threshold, there will be speed throttling, the speed will come down to 256kpbs till the given time (expiry date).